Councils have reported a recent increase in dogs attacks with some serious and horrific injury, and actions taken against dog owners. Each year Johnston Withers takes many queries and often acts for people who have been the victim of a dog attack, with a wide range of injuries and most often lasting post-traumatic stress that is associated with the consequence of both the nature of a dog attack and the injuries themselves. We also act for people whose own dogs have been attacked by poorly controlled dogs with costly vet bills and lasting damage. 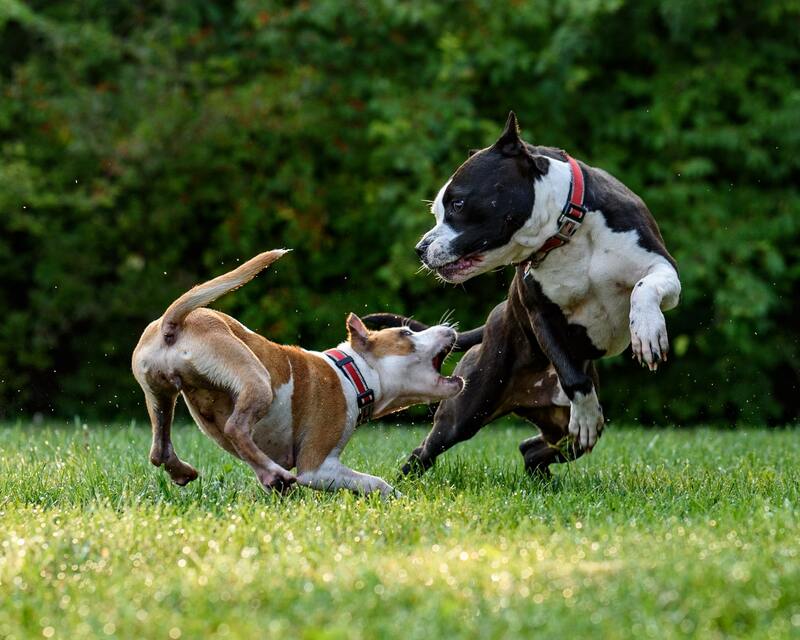 The balance between dog owners on the one hand – who love their dogs, want them to have a certain freedom and generally see any attack or violence as uncharacteristic – and the public safety on the other hand is a difficult one. In South Australia the law is regulated by the Dog and Cat Management Act. The purpose of the Act is to encourage responsible dog and cat ownership, to reduce public nuisance caused by dogs and to promote the effective management of dogs. It is designed to essentially protect people and animals from harm or nuisance which may be caused by dogs that are characterised as dangerous, menacing or a nuisance. The Act also serves to create strict legal responsibilities to an owner or controller of a dog such that they are legally responsible for the actions or consequences of their dog causing harm to people or animal. Obviously the particular order that is applied will depend on the seriousness of the harm caused by the dog and/or the potential future threat. For example, a dangerous dog order requires that the dog be de-sexed, microchipped, to be kept in a premise that is fenced (if not fenced to be kept indoors), warning signs to be displayed at the entrance, to wear a compliant collar and, whilst in public, to wear a muzzle fixed on its mouth, to be under effective control by means of a physical restraint; further the dog and/or person are both to undertake approved training courses and generally that all reasonable steps be taken to prevent the dog repeating the previous behavior. Whether a dog is to be characterized either as a nuisance, menacing, dangerous or unduly dangerous is a question of facts which is assessed by reference to all of the background circumstances of each case. For instance a dangerous dog is one which exposes people or animals to an appreciable or substantial risk of some harm or injury. Relevant considerations will include the breed and species of the dog, subsequent interventions (like training) and the dogs response, the health of the dog and its environment, the dogs predictability or unpredictability, the dogs history, previous level of aggression, social ability, lability of mood, the nature of the harm caused and the hardship likely to be suffered by the dog following the order. In a recent decision of the South Australian Civil and Administrative Tribunal consideration was given to whether a 4 year old Australian Kelpie cross should have been the subject of a menacing dog order. The order was imposed on the dog as a result of an incident in July 2018 when the dog bit a person visiting the premises on the face causing serious and painful facial injuries with multiple puncture wounds and subsequent facial surgery for the reconstruction of the victim’s central upper lip. The hospitalization was for a period of 5 days. The Council is charged with the power to make orders pursuant to the Act with such orders being appealable to the Tribunal. In this case the Council deemed the dog to be a menacing dog and thereby be required to wear a muzzle whilst in public, together with the other conditions of a Menacing Dog order. The dog owners sought an appeal of this order in the Tribunal on the basis that the dog did not have a history of previous attacks or aggressive behavior and therefore that the risk for any future incidents was remote. The dog owners argued that the dog was obedient and well trained and that there were no known incidents of aggression before or after the incident. They argued that the incident was a “one off situation”. That it occurred on private property and the dog was being protective and that the circumstances leading to the attack where unusual. Essentially that the circumstances in which any future risk might occur were so limited as to not be real and nor did they give rise to a likely future threat. The dog’s vet provided evidence, stating that the dog was obedient with great owner control and trust and that the dog displayed no fear or anxiety when in a small room with a stranger, was relaxed and not hyper vigilant to other dogs or people. The owners also provided a K9 evaluation report provided by a K9 trainer and assessor and evidence that the dog had undertaken further 2 specific hours of training in order for the dog to be more comfortable around other people within his owner’s space. Despite all of this evidence the Tribunal found that the dog still posed a risk in the future, albeit in limited circumstances with evidence that he may become aggressive if he feels threatened by invasion of his personal space and/or a capacity to attack and bite when he perceives a risk to his owner property. Essentially the Tribunal found that the dog was a “menacing” dog because he represented a real risk of harm to people in the future. The Act also provides laws in respect of the strict civil liability of dog owners. If a dog does cause physical harm then, irrespective of the specific circumstances, the owner is legally liable to compensate the victim for the consequences of the harm. There is no need to establish a specific breach of the duty of care or other requirements to establish negligence, however the owner can argue contributory negligence in circumstances where the victim may have intimidated the dog or recklessly put themselves in harm way. It is unlikely that all dog owners fully appreciate the breadth of their liability in respect of their pets. In my view this has significant ramifications for insurance purposes and I would encourage dog owners to consider a broad public liability policy to cover any harm that their dog may inadvertently cause either within the confines of their home or outside or in public. Without proper insurance dog owners can find themselves with significant damages to pay, in particular if their dog hurts or injures another dog where surgery bills can run into the tens of thousands of dollars for which the owner is potentially liable. The law underlines the significant responsibility placed on dog owners and that at all times, irrespective of the type of dog or their prior history; owners must exhibit extreme caution in the control of their dog to prevent injury and harm. If you or your own dog has been a victim of a dog attack, we’re here to help. We have permanent offices in Adelaide, Port Augusta, Whyalla, Murray Bridge and Clare. We also service Roxby Downs on a regular basis. We have been operating in South Australia since 1946 and have a proud history of ensuring everyone has fair access to the power of the law. If you or a family member would like to discuss a dog attack, call Tim Downie on 8231 1110 or get in touch online.